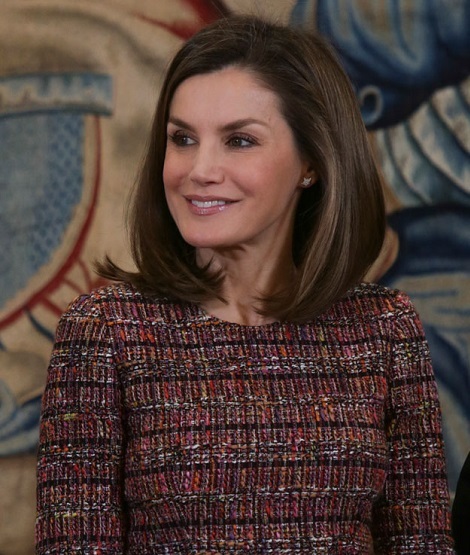 Today Queen Letizia of Spain had a busy schedule. She received two audiences at the Royal Palace of Madrid. In the morning Letizia received audience from a representation of the Royal Academy of Engineering. The representation informed Queen about the “Woman and Engineering” project, which aims to boost the female presence in the engineering and technology sector. Later in the day Queen met with a representation of the ASPAYM Castilla y León Foundation on the occasion of its 25th anniversary. During the hearing they gave Doña Letizia recognition as the president of the Honor Committee of the acts celebrated during the 25th anniversary of the entity. In addition, a report was delivered that includes all the activities held during the year 2017, to commemorate the quarter of a century of ASPAYM Castilla y León. 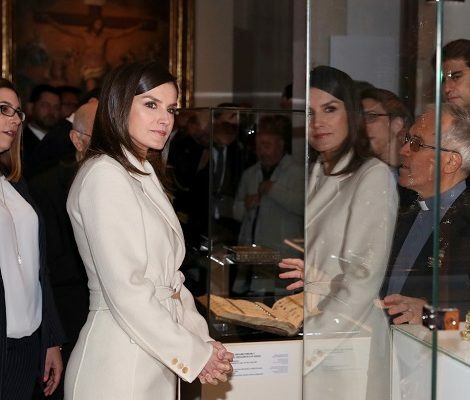 For the occasion, Queen Letizia was looking extremely smart and professional in a tailored outfit. She recycled her tweed peplum top which she first wore in November 2016. She has worn the tailored top many times since then. The multicolor tweed top features a round neck. The label of the top is still unknown. Letizia paired the outfit with the Hugo Boss BOSS ‘Tipulida’ Stretch Wool Suit Pants features a slim-leg with cuffed hems and a button-detailing at the waist. The trouser is available at Nordstrom for $325. 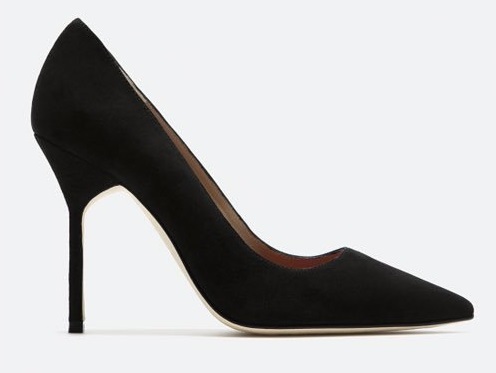 Queen Letizia paired the outfit with black suede Carolina Herrera pumps. 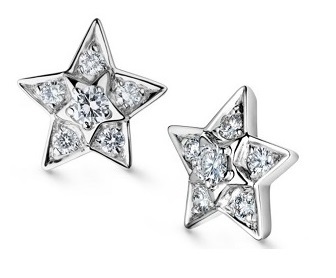 Letizia finished her look with Chanel Comète Earrings.